GX ORS ENCAD, 3-6 months; UV ORS ENCAD, 6-12 months; and GO ORS ENCAD, 12-18 months. 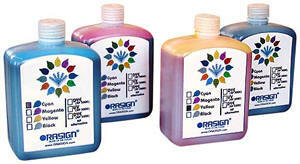 DYE ORS HP, 3-6 months; UV ORS HP, 6-12 months; and PIGMENT ORS HP, 12-18 months. DYE ORS HP 5000, 3-6 months.